State-required liability or Personal Injury Protection (no-fault insurance) coverage – covers bodily injury and property damages to others in an accident you cause. Collision coverage – pays for damages to your vehicle in the event of an accident. Comprehensive coverage – covers vandalism, theft, and other damages not caused by an accident. Liability coverage protects you if you are at fault for an accident and you injure someone or damage someone’s property. It also provides you with legal defense if the other party files a lawsuit against you. There are two parts to liability coverage: bodily injury liability and property damage liability. 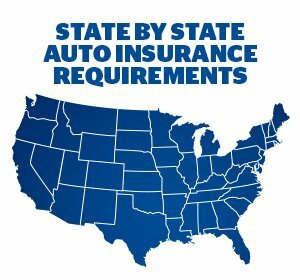 They are considered to be mandatory types of car insurance for most states. Liability coverage doesn’t pay for damage to your own car or costs related to your own injuries from an accident you cause. Available in certain states and pays medical expenses, and in some cases, loss of income, essential services, accidental death, funeral expenses, and survivor benefits, regardless of who is at fault in an automobile accident. If the vehicle is stolen or considered a total loss after an incident, the maximum amount you would receive is the actual cash value of your vehicle, minus the deductible you have for comprehensive coverage. Collision coverage will help pay for any damages if you are involved in an accident due to a collision – that could include another vehicle or object. This coverage only covers your vehicle and gives you the broadest protection. It guarantees your vehicle will be covered regardless of what caused the damage. NOTE: If your car is damaged in a hit-and-run incident, you will usually be covered under collision coverage. However, this may not apply in no-fault states. There are a variety of optional types of auto insurance coverage you can add to increase your level of protection. Uninsured and underinsured motorist coverage – pays for the policyholder’s injuries and property damage caused by a hit-and-run driver or a motorist without liability insurance. It will also pay when medical bills and car repair bills are higher than the other driver´s liability coverage. Drivers who have filed an SR -22 insurance form typically only carry minimum liability limits. Medical payments coverage – pays for covered medical expenses up to policy limits for this coverage for anyone injured in your vehicle – regardless of who is at fault. It also covers you and your family members who might be involved in an accident as a pedestrian. Roadside assistance – pays for covered towing and labor costs if your vehicle is disabled, up to your policy limits. Rental car reimbursement – pay for a rental car if your car is damaged in a covered accident and your car is out of service for longer than 24 hours. The bottom line – full coverage means different things to different people – you must decide what combination of coverages you need to feel you have full coverage. Looking for low-cost car insurance? Freeway Insurance can help. Request a free car insurance quote online, over the phone at 800-777-5620, or by visiting one of our local offices.